The street scene remains largely the same, some of the granite pillars are still in situ and the cottages built by the Firr family have changed little. The lime tree to the right of the village hall has increased in size somewhat. 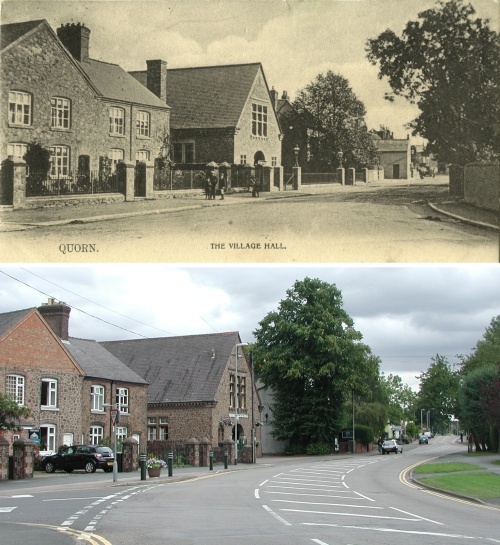 Photos taken c1900 and 2009.